Flowers and foliage can play a big part in our Christmas decorating. This month we were challenged to create create a card or project that features either flowers and/or foliage. 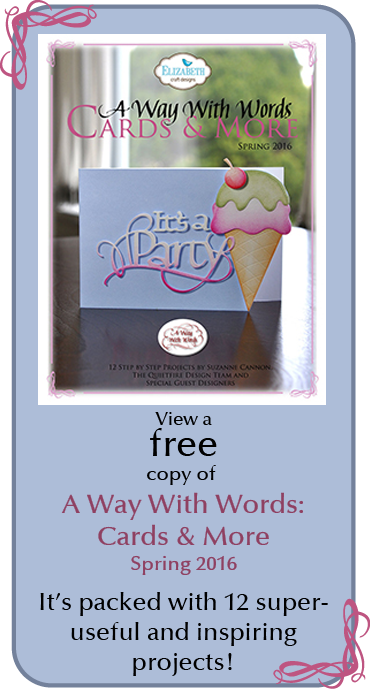 My directions are below and you can see all the rest of the beautiful creations on the Elizabeth Craft Designs Blog HERE. 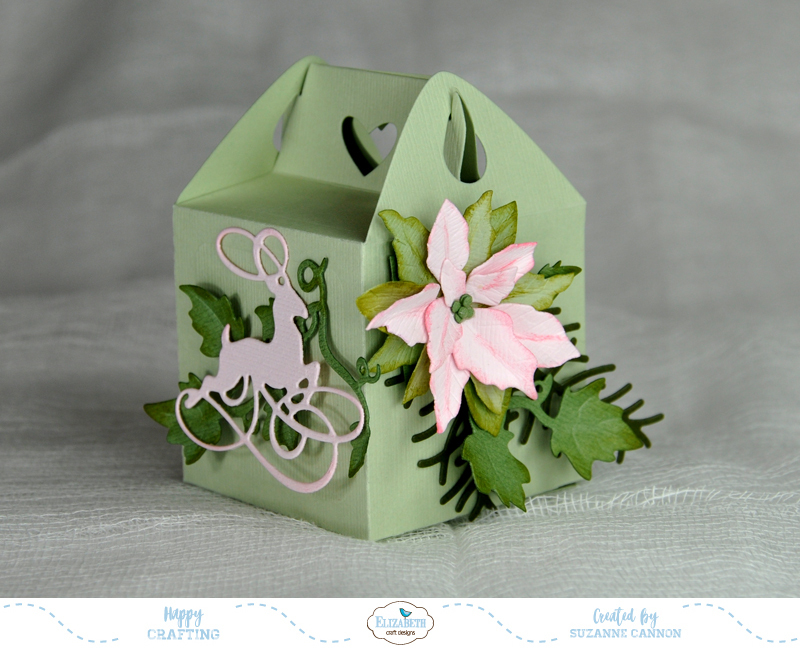 Join in answering their question (on their blog) for a chance to win: Which Elizabeth Craft Designs flower or foliage die or stamp set would you chose to create a Christmas card or decoration. I've been wanting to make some of Susan Tierney-Cockburn's poinsettias and I discovered her Garden Notes Small Poinsettia fit beautifully on the side of my Gable Box! Happy dance! Here is how this sweet gift box was made. Die cut the gable box from pale green cardstock. Die cut ivy, pine sprig and one set of Poinsettia leaves from other shades of green. 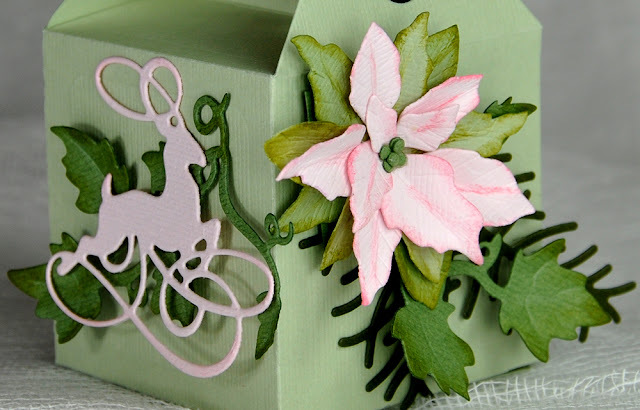 Die cut the Poinsettia and flourished deer from pale pink cardstock. Sponge the edges of the green cardstock diecuts with Peeled Paint and the edges of the pink Poinsettia leaves with Worn Lipstick. Form the Small Poinsettia following Susan Tierney-Cockburn's video tutorial. Shape the ivy leaves in a similar manner to the Poinsettia leaves. Adhere the elements to the Gable Box as shown. Thanks for having a look. Just ask if you have any questions!